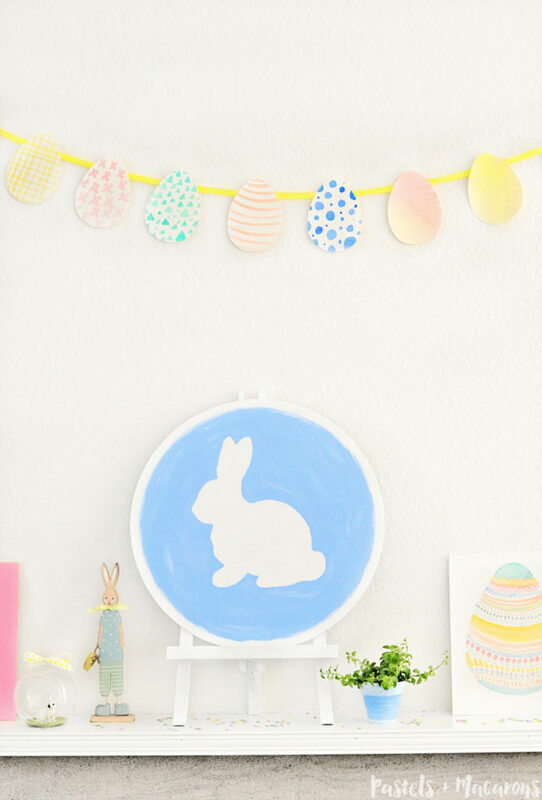 I admit most of the year I am drawn to a neutral home palette with pops of color here and there but when it comes to Easter I get crazy and don’t hold back on my Easter decorations and colors! I’m all for pretty pastels for easter. It’s the one time of the year i can pull of pretty girlie colors without my husband complaining! I’ll start off by letting you know I made most of the items on here. 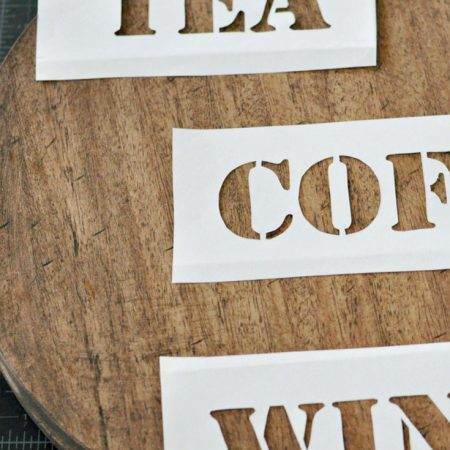 But if you’re not a crafty person or you simply don’t have the time, that’s alright. 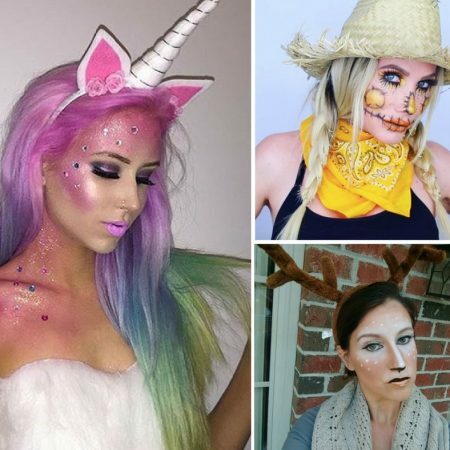 Use this as your inspiration to get the look! I’ll include some links back to my favorite finds for your convenience also! I chose pastel pink and blue as my main colors. I don’t have pastels all over my house and certainly not much pink or baby blue getting around but I wanted something fun and different for Easter. My kids love color as they’re still so little so for them this is very fun to look at. 1 . I sketched out the outline of a bunny using an image I spotted on the internet. I had a small, flat canvas sitting around which is what I used. 2. I traced the bunny silhouette using this picture. 3. I painted the silhouette with white acrylic paint and the outside I painted with a pretty baby pink acrylic paint. I made sure to have rough brush strokes as I didn’t want it looking too “perfectly painted”. 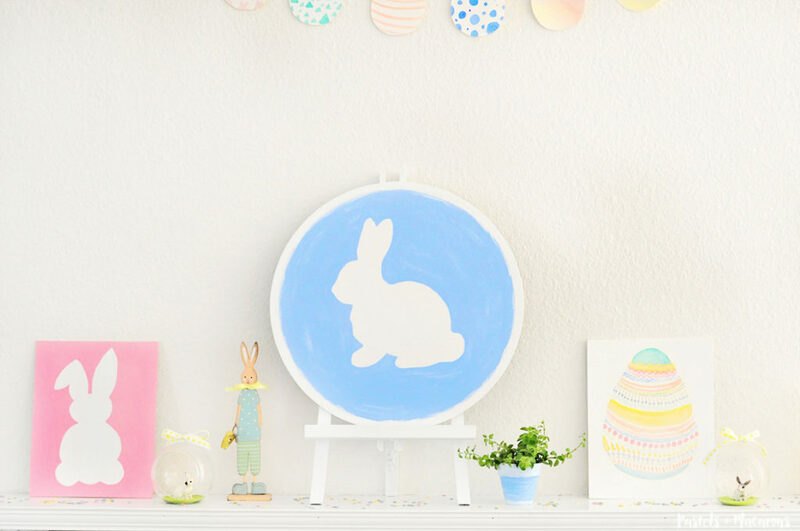 EASTER DECORATIONS : SHOP PASTELS! 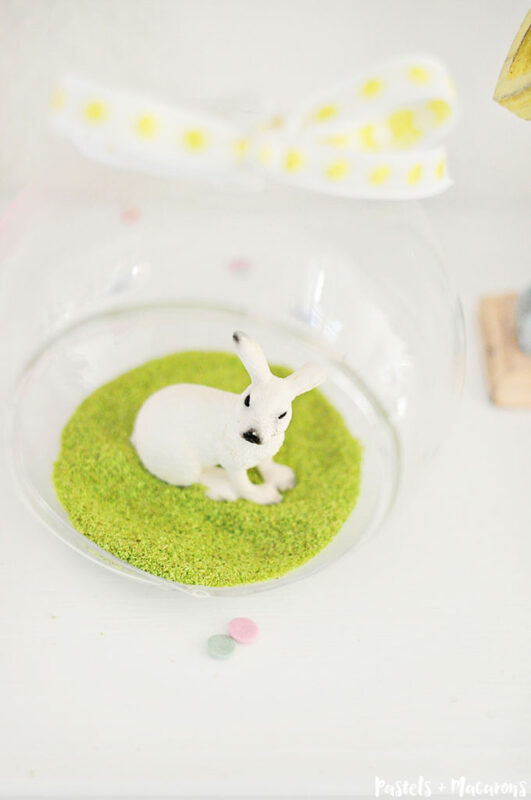 I created little Easter Bunny Terrarium using some bits I had laying around. I used this fake moss powder that I used to also make this Moss Ball Garland! cute white and yellow ribbon and hanging glass globes that I had from my wedding. I placed the moss inside the glass globes, tied the ribbon into a bow through the little loop at the top of the globe and then sat the bunnies inside their new little glass homes. The blue bunny was another silhouette painting I did. Exactly the same as the pink one, on a flat, round canvas. 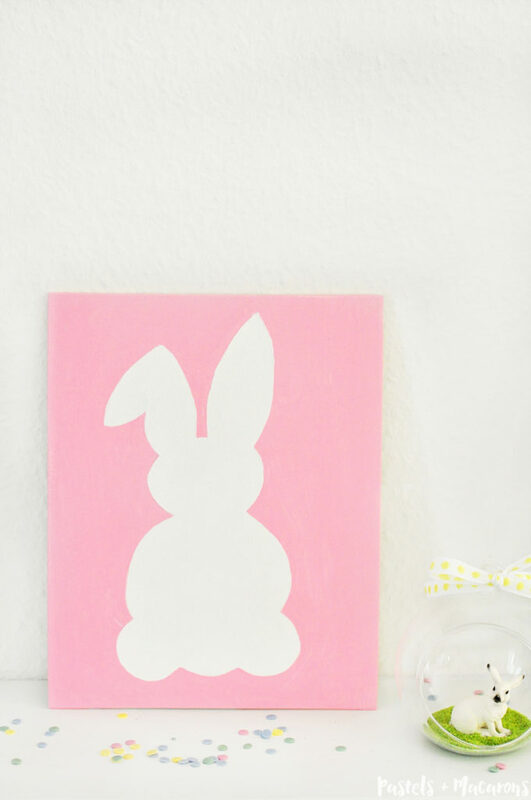 I printed a silhouette I found through a google search I did then after painting my canvas white and letting it dry I traced the outline of the bunny silhouette I had printed in the middle of the canvas. 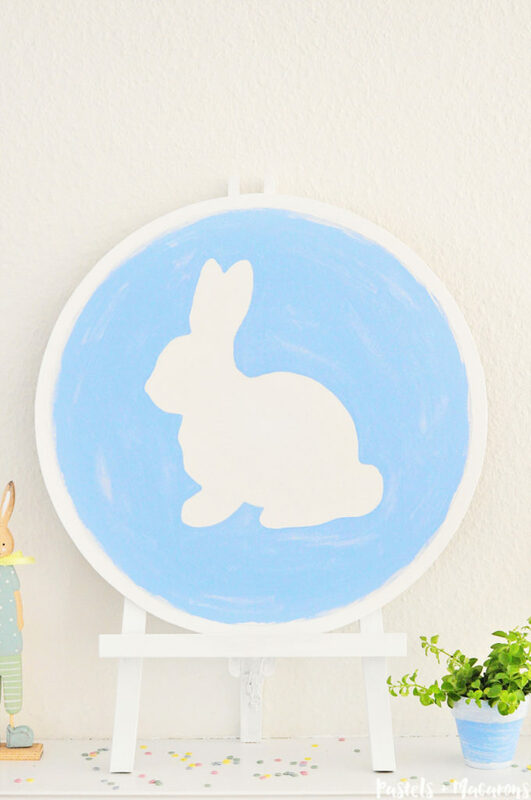 I painted the outside of the canvas baby blue and kept the bunny white. One all dry I decided to give it a white border all around the canvas making it rough and using a very dry brush with a tiny bit of white paint to create more strokes all around the blue of the canvas and also around the white border I had created. I wanted a distressed look for this painting. I made a watercolour egg garland out of watercolor paper and yellow ribbon. I found an image of an egg that I printed off then cut it out and traced it on to watercolor paper. I then took to my watercolors and painted different patterns on each de keeping them all within the same colour palette I had chosen. I allowed it to fully dry then I cut out the eggs and hot glued them to the ribbon. As you can see Easter time gets me bunny obsessed! I LOVE bunnies for Easter displays. Just so, so cute. I found these two bunnies at different homeware stores and I just had to have them. I love displaying fresh plants around my home. I feel it gives your home life and makes it feel more fresh and inviting. 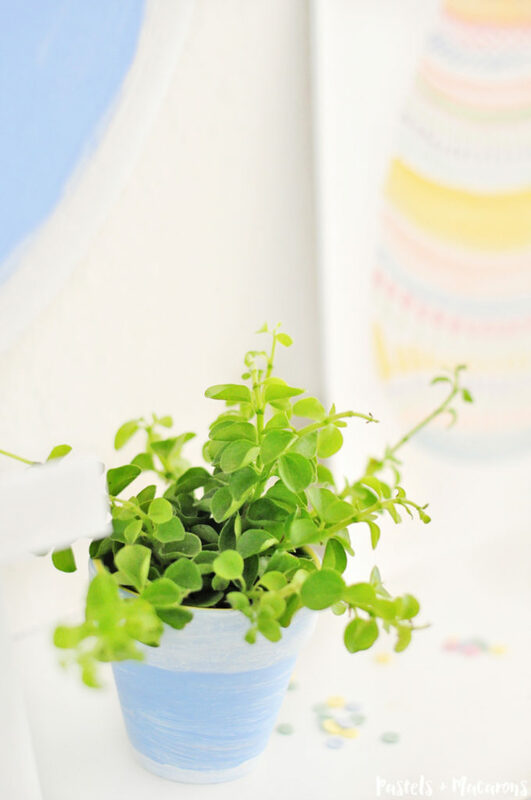 I painted a little terra cotta pot in the matching blue to the round bunny canvas and once it was dry I placed this cute little plant I got from my local florist into the painted terra cotta pot. The little planter and bulbs above are a little extra I have. It doesn’t sit on the mantel, nor does the yellow bunny but I had to take photos of them. They’re just too pretty. I finished off my handmade Easter decorations with the above watercolor painting of a large Easter egg! What do you think of my my Easter decorations?? 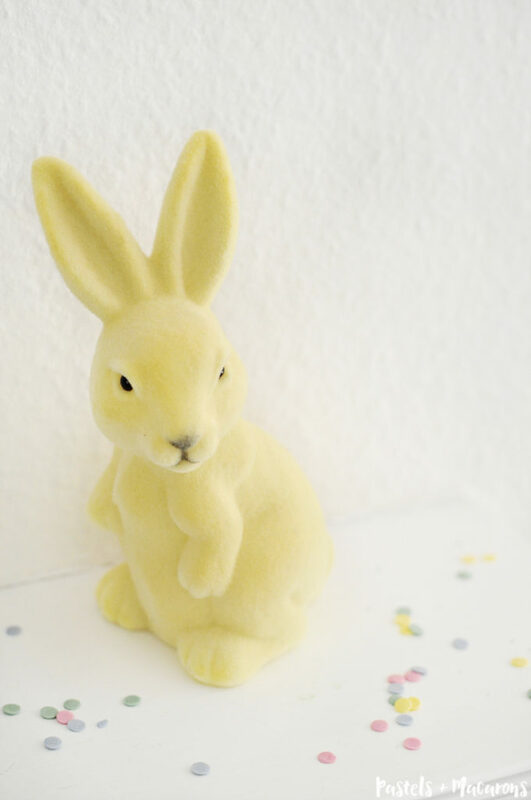 What Easter decorations do you have in your home that you love? 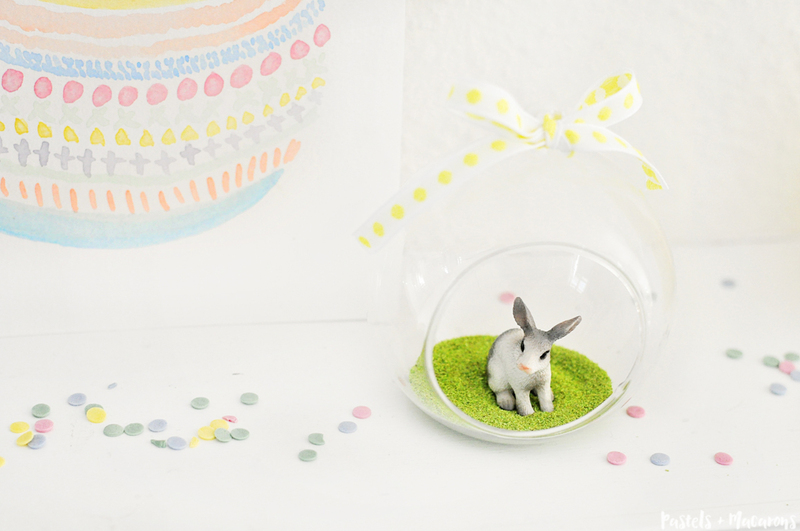 Learn how easy it is to make this Easter Bunny Terrarium! 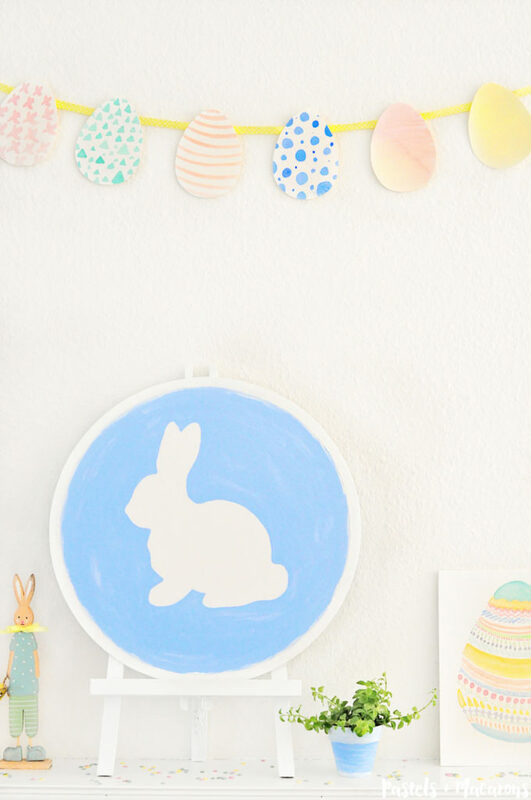 Love Easter Decorations but aren’t a huge fan of pastel colors? 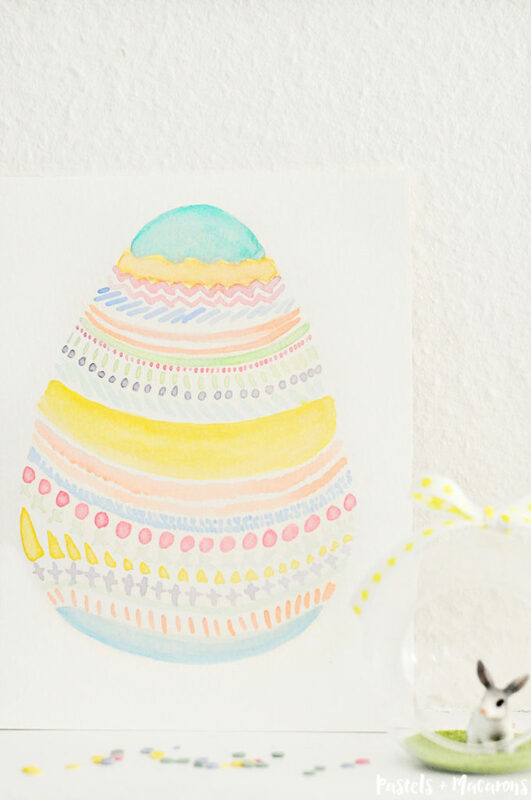 How about some rustic easter crafts? Check out these pretty Mason Jar Flowers that you can add to your Easter / Spring Decor! 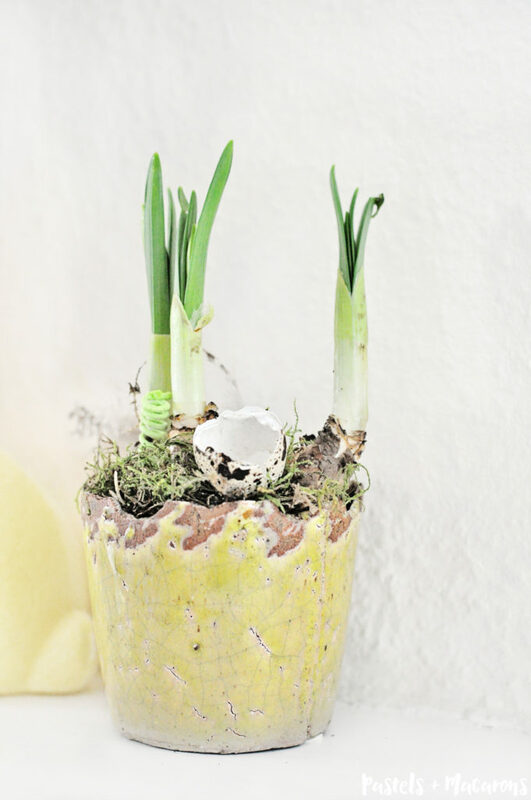 And if you’re thinking Easter or Spring then you need to learn this one decorating hack! Learn How to turn mason jars blue in seconds! Looks amazing! I’m loving all the fresh pastel colours you have used! (no pun intended ?). Haha. Thanks Medina! Yes, I love pastels during easter but think this year I should go vintage style but not sure if I can go away from Pastels! you have totally inspired me to to paint my own Easter display!! You take such beautiful pictures! Thank you Kellie. I’m so happy I’ve inspired you! 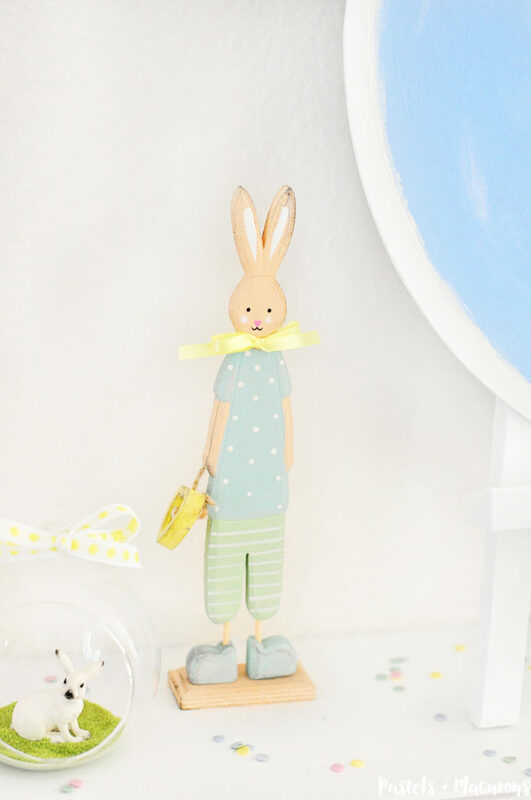 I love everything about that Easter vignette Maria! Pastels & Spring is just perfect I think and I love the tones you chose! Those paintings are so cute and the whole vignette is really happy looking! 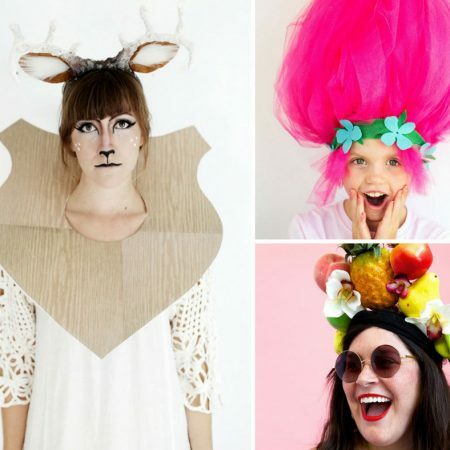 I bet your kids love it, my girls would!!! This is so cute and bright and cheery! I absolutely love the pastel colors! You are like a home decor genius! Very pretty mantel! Your bunny silhouette is really great – good job! Visiting from Show + Tell party. So Cute! Love that bunny silhouette! This so beautiful and sweet Love that blue Bunnie! 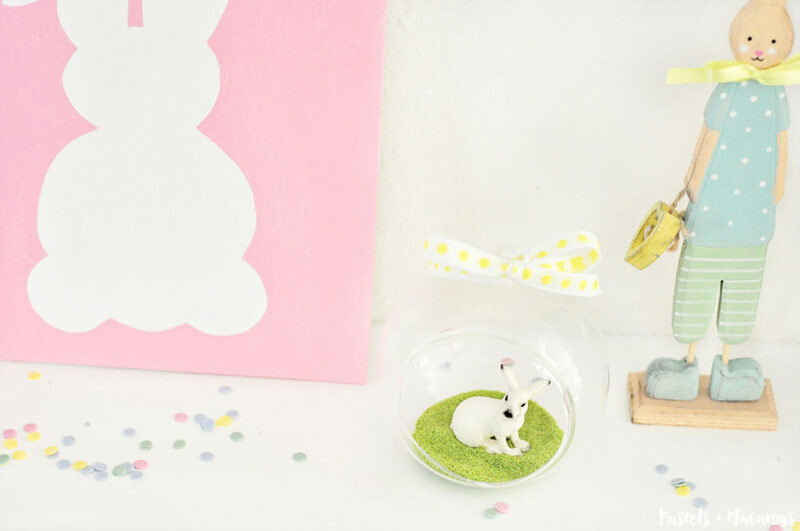 The glass Bunnie is adorable too. Thanks for linking up to Merry Monday! Pinned & Sharing on FB! Have a great week! This looks so great, Maria! 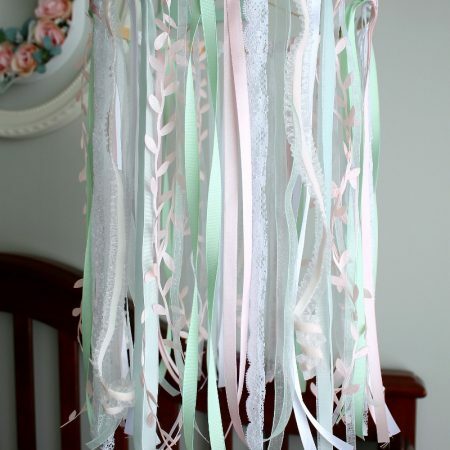 I’m obsessed with pastel decor so I definitely love this. Thanks for sharing at Merry Monday! You’re going to be my feature this week and I’ll be sharing on my social media Sunday night. Hope to see you at next week’s party! How adorable! I seriously love how cute bunnies are at Easter! Thanks so much Cara 🙂 Bunnies at Easter are the cutest! SUPER cute! I LOVE the banner, and the bunnies are adorable! Thank you for sharing at The Wonderful Wednesday Blog Hop! PINNING! Oh my goodness ~ such an adorable mantel! I love each of your bunnies but the watercolor egg is my favorite.